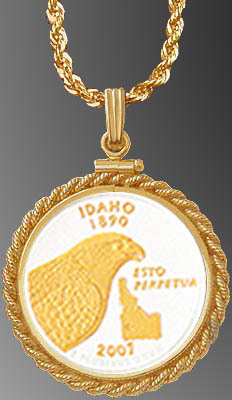 Necklace featuring the popular 50 States Quarters mounted in a 24kt gold plated rope frame with durable 20" IP gold chain. 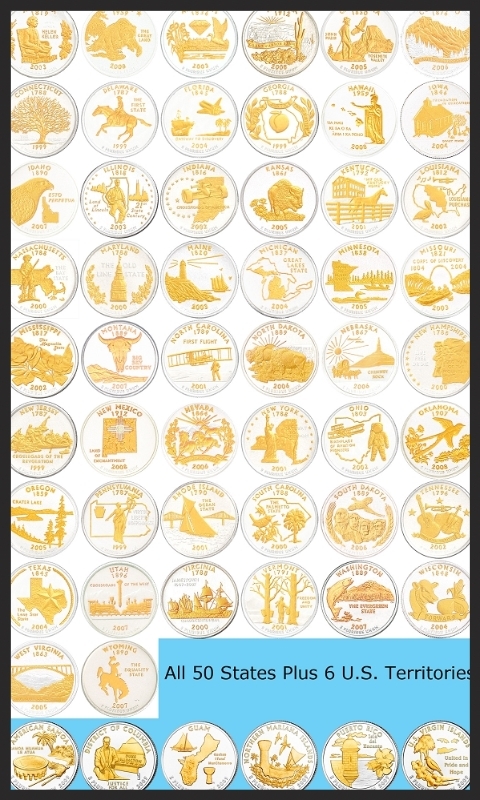 Coins are protected with LensCote. 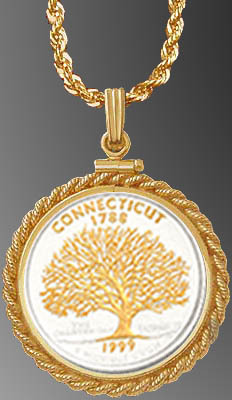 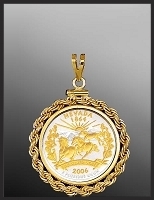 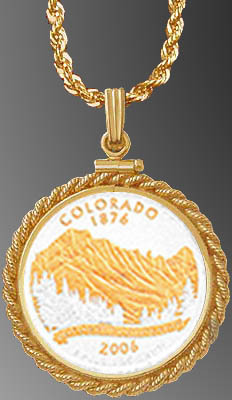 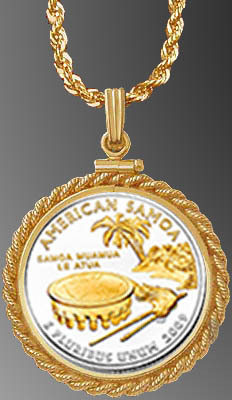 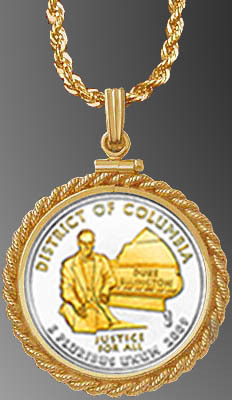 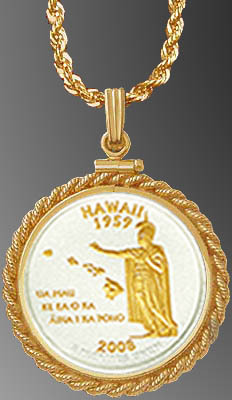 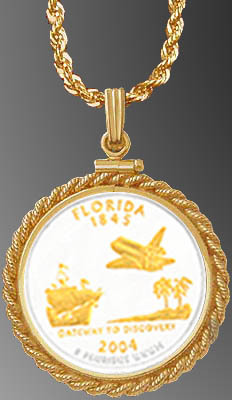 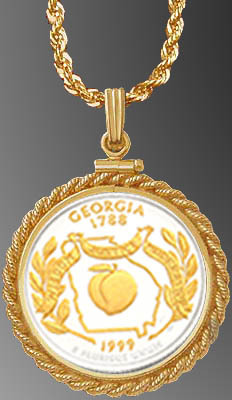 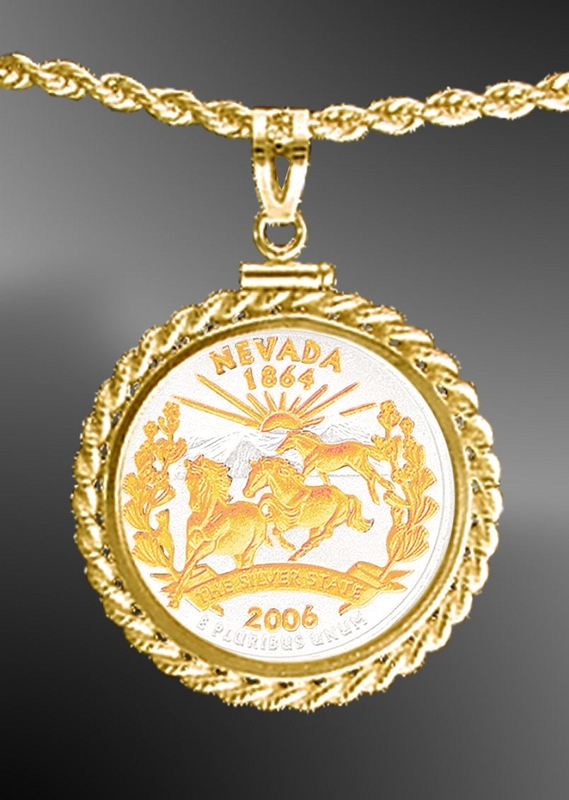 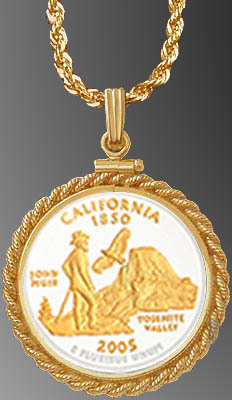 Necklace featuring the popular 50 States Quarters mounted in a gold plated rope frame with durable 20" IP gold chain. 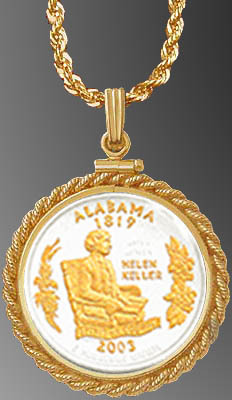 Coins are protected with LensCote. 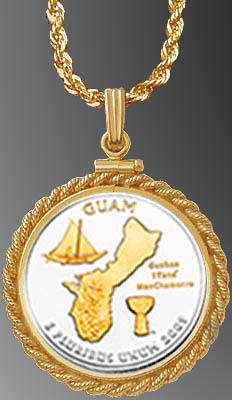 Unique numbered signet, certificate of authenticity and lifetime warranty against defect. 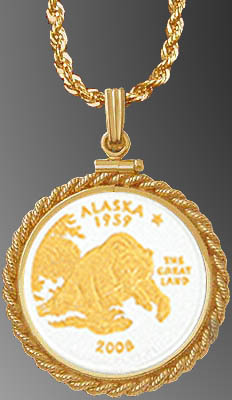 All 56 states and territories available.